On some levels, Eircodes are great and work really well. They really do pinpoint your exact location, so it’s really useful for finding locations. Although it was not initially integrated with Google Maps, it was not long before it was fully functional on both the dektop version and the mobile app. All you have to do is input the Eircode into Google Maps and you can navigate directly to that location. So that is really useful for couriers or anyone delivering anything to anywhere in Ireland, and for anyone who is trying to find a house or business… as long as the person can provide it. The biggest problem is that so many people are not using their Eircode. The don’t provide it when they are giving their address in many cases. This is either because they don’t see the point in using it, or because they don’t know it. Why is that? Especially in the case of people who live in rural houses with no house number, and sometimes on a road that doesn’t even have a name. Most people I’ve spoken to say: “Ah sure there’s no need to use the Eircode… the postman knows us by name and knows where our house is”. But what about couriers who is trying to deliver their Amazon order, or food delivery drivers, or anyone else who has never been to their house? You would think that after years of trying to direct couriers, new friends and relatives who haven’t visited before to their house for the first time, that these people would have been delighted to have a 7 character code that pinpoints their exact location. No more having to give people directions like “turn left at the big tree after the brown gate, continue for about 5 miles, then turn right just after the yellow bungalow, then we’re the 5th house on the left… if you see a field with 10 cows in it, that means you’ve gone to far”. Eircode solves that problem because Eircode provides an exact location for every house in Ireland, even if it did not previously have any specific address except the area that it is in or the road that it is on. But somehow the people with the hardest to find houses – the ones that Eircode was really designed to help more than anyone else – are the people who haven’t made a note of their Eircode or don’t bother to use it. Maybe they’ve heard people don’t use Eircodes to find places. There was a story in the news that the post office was not using Eircodes, which people found shocking since they would have thought the government-run delivery company, of all people, would be using the government-devised postal address identification system. But as previously mentioned, postmen probably don’t need to use them because they already know all the houses on their route. But people delivering who are not your postman will use them! I can assure you, if you provide an Eircode and you have no other physical address (no house number), then any delivery person with any amount of experience and cop-on will use your Eircode to find your house. If you don’t know you Eircode, looking up your Eircode is reasonably easy… if you have a decent internet connect or 3G signal, which can also be a problem for such locations. But assuming you can get some internet or phone internet access, go to the Eircode website when you are in your home or business premises, and you can very quickly find out your own Eircode. So why don’t people know their Eircode? Perhaps a big reason is that the introduction of Eircode was really badly advertised. Do people even know why it was introduced, what it does, how to use it? I think a lot of people don’t, since, as I said, it’s the perfect solution to their problem of not having had an address, and yet their not using it. Ok, not the perfect solution. In fact, there are many issues with Eircodes, but it’s certainly better than having no physical address. However, the designers of the Eircode project made so many silly mistakes that could so easily have been overcome. If only they had consulted with more of the public, especially people who would be using them on a daily basis. Here are some problems with Eircodes, the mistakes the creators of Eircode made and what I would consider would have been a better solution. Perhaps one reason people aren’t using them is because they can’t remember them, since Eircodes are such random codes, instead of being something a bit more memorable, which brings me onto the next point. Why were Eircodes made so completely random? They should have consisted of area codes people could relate to. Why didn’t they use the obvious, pre-existing licence plate codes that everyone is already familiar with? Kildare Eircodes could have began with KE, Cork with C, Galway with G, Limerick with LK, Waterford with WD, etc. The counties could have been divided up into segments like Dublin and then the last four digits could have been random. 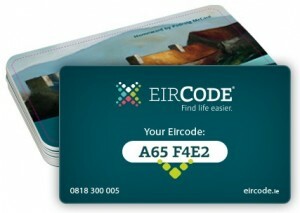 With Eircodes being so random, unless you live in Dublin 1 – 24, their appearance bears absolutely no relation to where you live, so people have no easy way to memorise them. We could have had KE1 for Kildare North, for example, and KE2 for Kildare South. Then an Eircode for a house in Kildare North could be KE1 WX1J, for example and KE2 X3L4, for example. Or it could have been divided up into whatever number of segments worked best, e.g. KE1, KE2, KE3, KE4 etc. As far as I understand it, the creators of Eircode’s excuse for making the Eircodes completely random was down to what they described as privacy or data protection issue, to prevent marketing companies from being able to use them for mass marketing. That if they weren’t completely random, marketing companies could use programs to guess Eircodes and then they could create databases of locations to send marketing promotions, or something to that effect. But in my opinion, they could easily have had relevant area codes for the first 3 character and completely random codes for the last 4 characters. Sure people in Dublin 1 – 24 have the first part of their Eircode as a standard code related to the old postcodes, e.g. D18 D4GJ. If that doesn’t cause a privacy issue for Dublin addresses, why would it cause a problem in any other county? And as for the parts of Dublin that didn’t have an old postcode, why didn’t they just create a Dublin 26, 28, 30 etc and 19, 21, 23 etc for the parts of Dublin that didn’t have an old postcode, just to keep everything uniform? Instead those parts of Dublin have to suffer having a completely random Eircode too. Dun Laoghaire could have had relevant Eircodes like D26 F5YH, for example, instead of the completely random Eircodes that they now have. By Eircodes being so random, it’s possible for people to accidentally give you the wrong Eircode. It’s one thing if you try to use it and you get no results because it’s an invalid Eircode. It’s another thing if the code is actually a valid Eircode… just the wrong one! Because the codes appearance doesn’t tell you anything about the place, you can’t look at it and say, yeah that looks correct. You just have to trust that the person who gave it to you got it right. If it’s wrong and it is a valid a Eircode for somewhere else, you will end up at some random place, miles away, instead of where you wanted to go. You could even end up in the wrong county! This is possibly the most idiotic thing of all, because not only do all counties outide Dublin have Eircodes that begin with random letters, like “W” for Kildare. But to add to the confusion, the letter “W” is not even exclusive to County Kildare! Locations in Kilkenny can also have an Eircode beginning with a W. Locations in Meath, Monaghan and Cavan can all begin with the letter “A”.. It’s crazy! Another cause for confusion – and in my experience it is a major issue – is that Eircodes can contain both zeros and the letter “O”. How can you tell whether it’s a zero or the letter “O” when its written down, not to mention the fact that Irish people even SAY “O” in conversation, when they mean zero, so that’s frought with problems immediately. In written form, both characters look pretty much the same. The person providing their Eircode often provides the incorrect code, providing a letter “O” instead of a zero or vice versa. But even if they do provide the right code, the delivery person could input the wrong code into Google Maps, as they can’t tell whether a character is a zero or a letter “O”. What idiot designing Eircode didn’t think of that issue? With all of that said, you should still use your Eircode. It’s here now and it’s here to stay, It’s not ideal, but if you take a note of it, and provide it when giving your address all the time, people will use it. If you provide the correct code, it usually does work perfectly with Google Maps and it will be of great assistance in helping them find you, so please please do use it.